What did you think of this chapter? 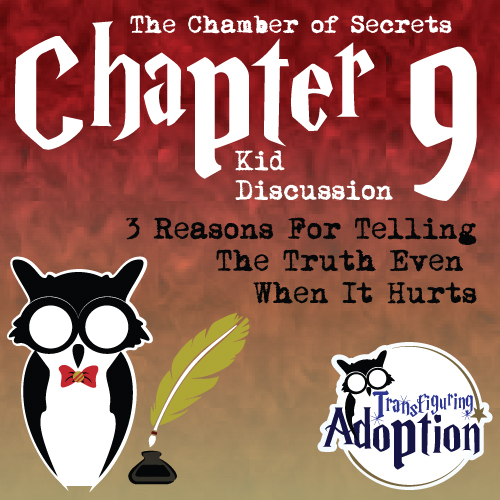 Harry, Ron and Hermione yet again find themselves in the middle of amazing and unusual circumstances. Do you ever wonder how these weird things always seem to happen to these three? Harry, Hermione and Ron are found to be the only people at the scene of a “crime.” Namely Mr. Filch’s (the school caretaker’s) cat has been injured. The students seem to think that Harry had something to do with the injury because he was spotted at the scene of the crime. Mr. Filch seems to believe that Harry is to blame. So many people seem to think that Harry did something that he didn’t do. Again, it doesn’t help that Harry, Hermione and Ron have a reputation for finding trouble. The interesting part of this story is that Harry’s least favorite teacher makes the suggestion that the group was simply in the wrong place at the wrong time. There is a glimmer of hope to clear their names of any wrong doing. 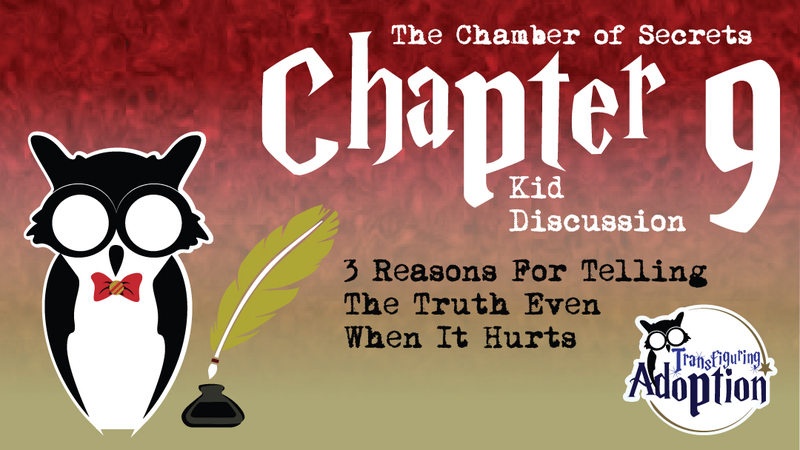 However, when Professor Snape starts to question the three on some details about the evening, Harry chooses to lie. The worst part is that we get a sense that most of the teachers know that Harry wasn’t being completely honest. Harry was really scared that everyone would think that he was literally a lunatic if he revealed the truth. Have you ever done something like this? We ALL have a tendency to get into trouble or a bad habit. Our family has one person that has the habit of stealing sweets out of the pantry. We find sweets wrappers hidden under their mattress from time to time or we find food missing. I (Darren) walked into our kitchen one morning and noticed a container of frosting over half of the way eaten in the refrigerator. As soon as my child came into the kitchen, I immediately asked why they ate all the icing in the middle of the night. My child tried to convince me that they didn’t do it. Something just wasn’t right about their story though. I continued to ask why they did the act. After many “I didn’t do its,” they finally admitted to taking the frosting out of the pantry and eating it. Oh, did I mention that they knew the icing was for their brother’s birthday cake that day? Do you think it’s right to lie? Do you think it’s right to steal? Why would you do something like this? My kiddo had to find their own food in their biological home. They didn’t have an adult to buy them food. They still kind of think that if they want a certain type of food then they have to get it for themselves. Who likes getting in trouble? My child lied because they thought I would get so mad that they would get in HUGE trouble. When you don’t have adults making sure you’re safe, who has time to think about others? You just want to know that you’re safe and will stay alive. This kiddo didn’t want to hurt their brother by taking the icing for his cake. This child just doesn’t have practice thinking about others first. Why Should You Learn To Tell the Truth and Talk Even When It Hurts? If my child would have come to me, a safe adult, and told me they wanted to eat the frosting, I would have helped them find some other candy or sweets to make the craving go away. I would have talked with them about how taking the frosting would hurt their brother’s feelings. Safe adults won’t ignore you, they want to help you. They love you even when things get rough. It’s odd that people lie to avoid punishment when really the truth will set you free. I’m not saying that there won’t be consequences, but they are usually WAY better than getting caught in the lie. For example, in this situation if my child would have told the truth, I would have made them apologize to their brother and mom. This is better than having to apologize and having your allowance taken away. There is something almost magical that happens when you tell the truth. The other person might be a little angry that you did something wrong, BUT they will also be very glad that you TRUSTED them enough to tell the truth even when it hurt you. It shows that you love and care for that person. It feels good when you live with people that strongly care for you, and you care for them too. It feels safe and loving. Do you think Harry made the right decision? Why not or Why? When is a time you lied? Why did you lie? How does your foster-adoptive mom/dad feel about lying? Ask your mom/dad what they would do in the above situation if you lied. If you told the truth. Create a plan. Sometimes we need reminders to do the right and most healthy thing. Come up with a phrase or word that your parent(s) can say the next time you start to lie to them. When you hear this word/phrase, this will be your special cue to start over and tell the truth. It will also be your mom/dad’s cue to realize that you are going to try to tell the truth even though you might be really scared.